I only bare the summer because of MANGO! Hardly two months of year, we have season of mango. This two months (May and June), markets are flooded with mangoes. I belongs to city which is production house of 2nd best mangoes of all over the world. The “Kesar” variety of mango pants are here in my city, I am so lucky that this super delicious, juicy and slight orange in color Kesar mangoes are available in my city. Kesar Mangoes are commonly known as the queen of Mangoes. I am literally mad about mango. Only two months of the seasons, and I have to create lots of recipes from it. But you know best recipe? Just cut the mango, and eat it as raw. During this months, I eat mango in breakfast, mango purée (aam ras) in my lunch with roti and curry. At the evening, if I am hungry, I eat the 1-2 mangoes and after dinner, I cannot sleep before eating either raw mango or some mango recipe like this mango popsicles ice-cream or mango shake. Now you can identify my madness about mango!!! This Mango ginger popsicles is super delicious recipe with just three ingredients and more importantly, this is ice-cream without cream!!! I am always try to create easy recipes with minimal ingredients. My another 3-ingredient recipes are Oreo Balls, Sukhadi Recipe, Whole Wheat Flour Pudding, Oreo Shots, Peanut-coconut Dessert Bar. You need to boil the full-fat milk till its boiling temperature and add condensed milk (milkmaid) and stir it till it mix into milk. Then boil till it thicken. Let it cool down completely. And then add mango puree into it. I have added 1 tsp dry ginger powder in this ice-cream and it will give it spicy punch to your ice-cream. Mix it well and your ice-cream mixture is ready. 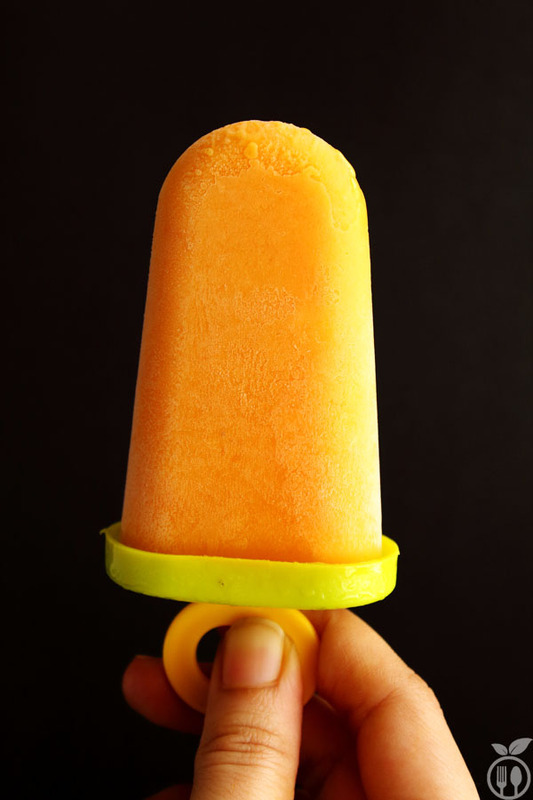 Use any shape of mod to create mango popsicles. 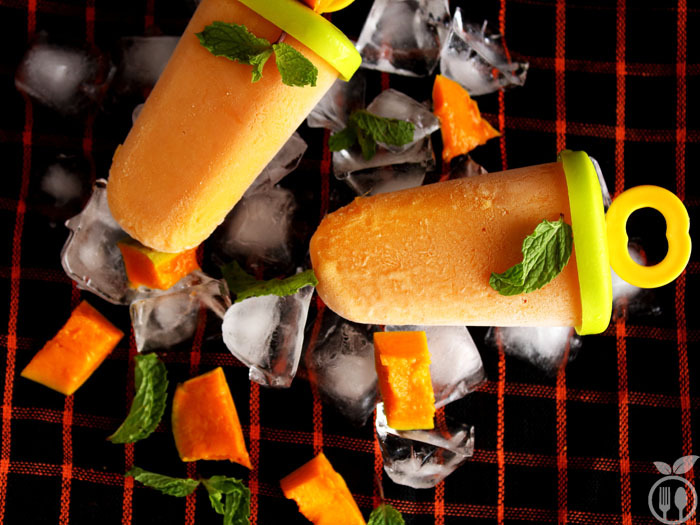 Chill it into freezer for at least 8 hours and you will have simplest mango ice-cream popsicles ready. This is low-fat ice-cream popsicles compared with others. And after all homemade things are always healthier than ready-made one. You can use cream instead of milk. It also give it great good texture. If you use milk, you may not have same result as ready-made ice-cream but benefits are it is super tasty and healthy. Use full-fat milk in this recipe. It can be replace with cream. Do not add water while you are making mango puree. 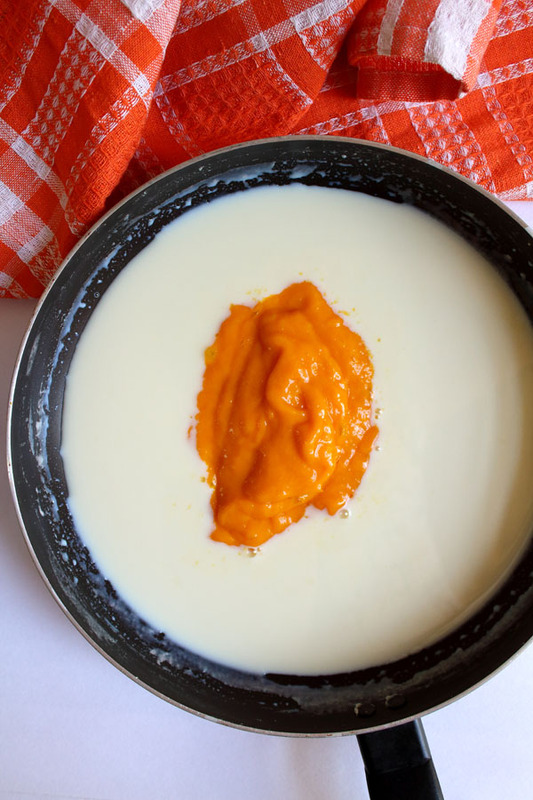 Before adding mango pure into milk, let it cool down completely. 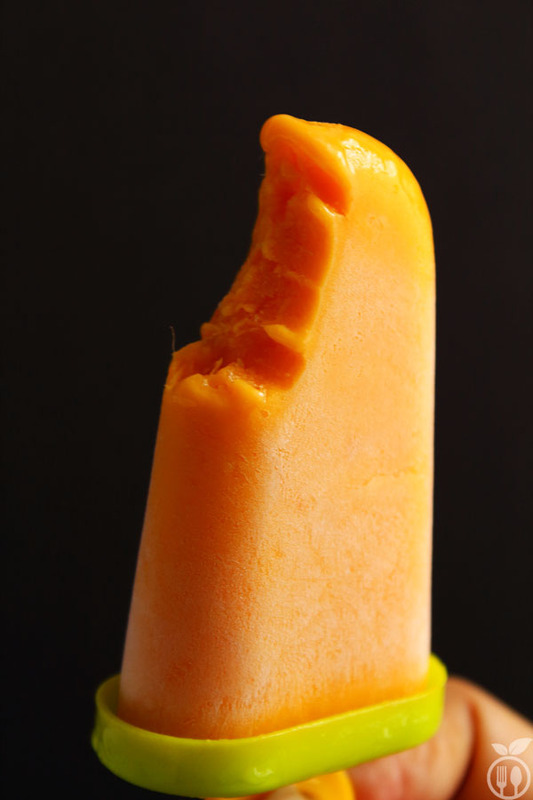 Mango ginger popsicles are here to rescue in this peak summer season. In this hot summer, who say no to ice-cream candy? 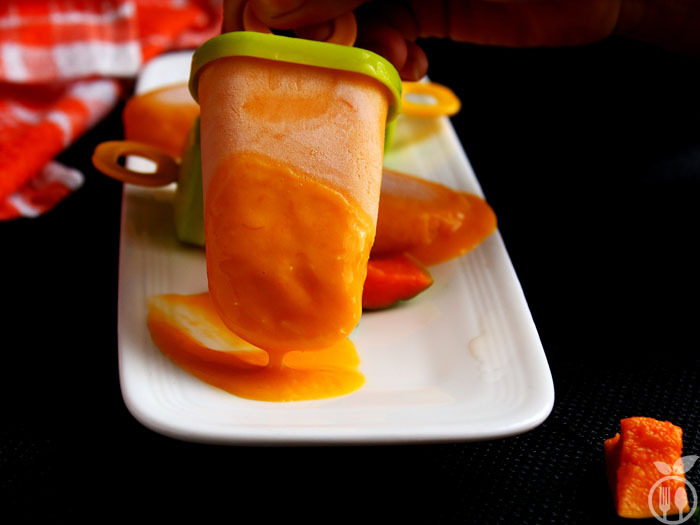 And what about homemade MANGO Popsicles made using just 3 ingredients? So, this is easiest homemade mango ginger popsicles recipe with 3 ingredients mango, milk and condensed milk. I have given twist with some ginger powder. 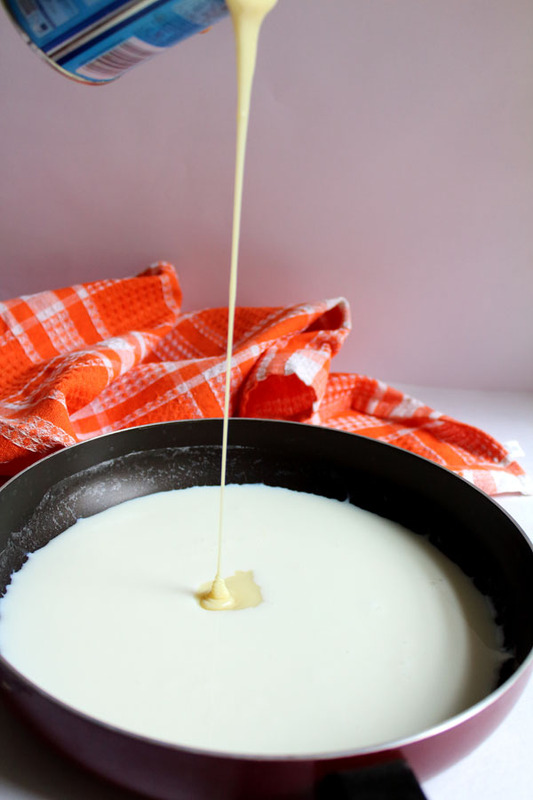 In a non-stick pan, boil the milk till boiling temperature. Then add condensed milk and mix it well. Again boil the mixture till it become little thicken. It may require 10 minutes to boil in medium flame. Then add mango puree and ginger powder and mix it with milk. Ice-cream mixture is ready. Now pour it in some mold of popsicles in freezer, chill it for at least 8 hours. Then enjoy with some mango slices. 1) You can even use this mixture as mango smoothie with some ice. It also delicious. 2) Ginger powder is optional, you can avoid it. But ginger give it super punch.